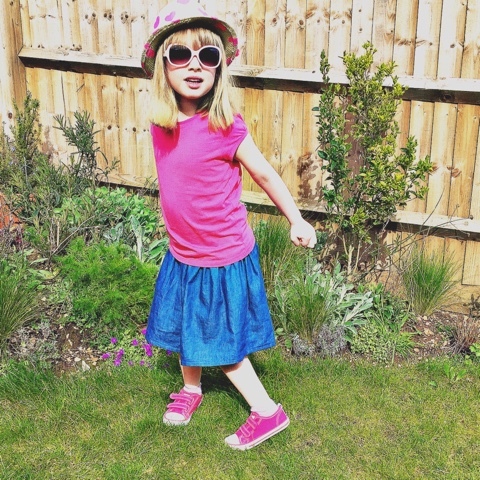 So, Spring is here (well, almost) and our small people just keep growing. 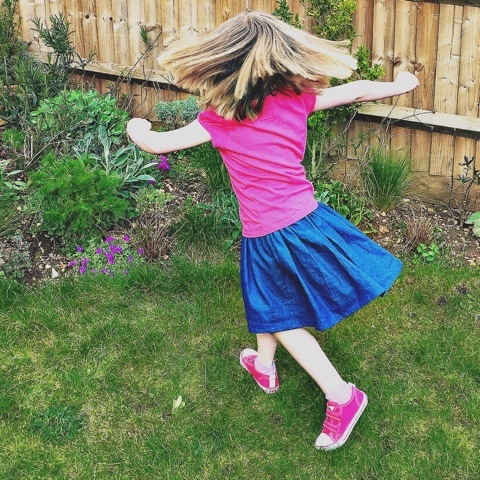 Here's an easy peasy pattern for an elasticated waist skirt you can make in an hour or two. 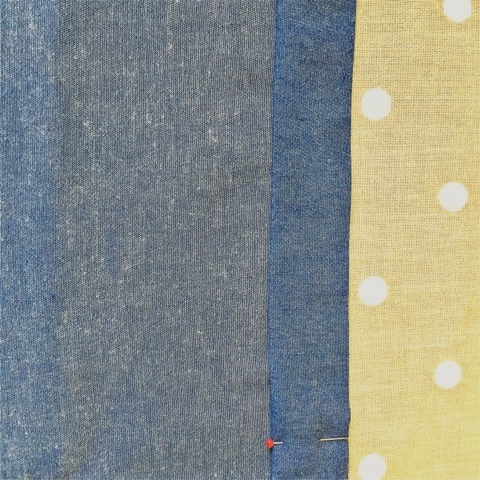 I used two metres of lightweight denim at £4.99 a metre and should get at least three skirts out of it. 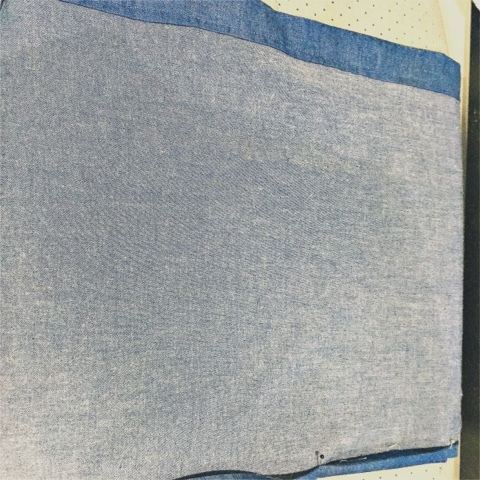 Light to medium weight cotton (0.5-1m depending on size of child). 1m waistband elastic (25mm width). Sewing machine, pins, scissors and all the usual gubbins. If you have the intended child handy take their waist and waist-knee measurements. If you don't have the child handy, here is a rough size guide. You now need to use these two numbers to calculate the size of the rectangles you will cut. Here's how. Waist measurement divided by two, multiplied by three, plus 3cm. E.g. Length measurement, plus 8cm. E.g. 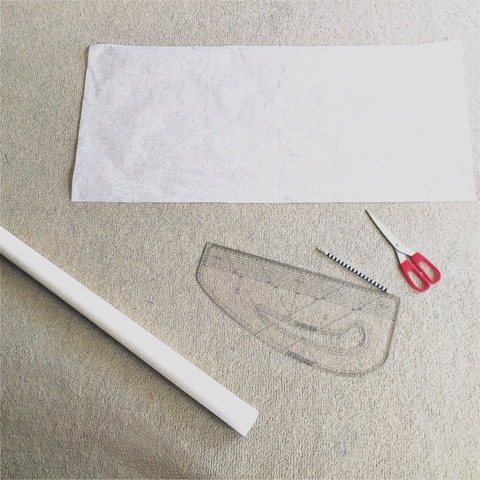 Use the WIDTH and LENGTH measurements you just calculated to draw a rectangle on tissue paper. Make sure your corners are right angles. Pin your tissue paper rectangle to your fabric and cut two identical rectangles. You now need to sew the side seams. How you do this will depend on the weight of your fabric and your preferred method. I had lightweight fabric, so opted for French seams to keep them neat and to avoid seams rubbing on bare legs. 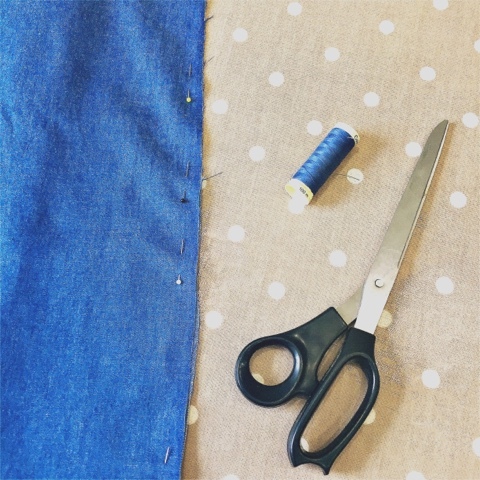 For French seams, place fabric pieces together (wrong sides together). 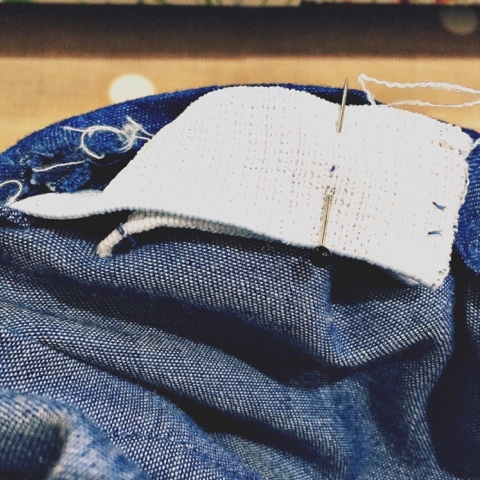 Sew a straight stitch 0.5cm in along the short edge of the fabric (use the edge of your sewing machine foot as a guide). Press this seam open with an iron. Then turn the fabric the other way out (right sides together) and press again. Now sew another straight stitch on the wrong side of the fabric, 1cm in from the edge. This seals the fabric edge inside the seam and makes for a very neat finish. 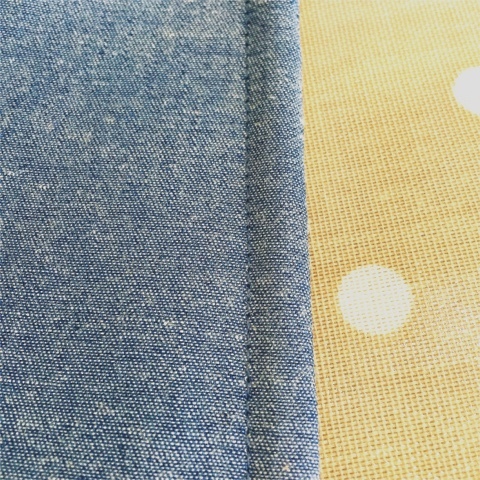 French seams are only really suitable for lightweight fabric, as otherwise the seams will be too bulky. The alternative is a standard 1.5cm seam (fabric right sides together). Press, trim and finish edge with a zig zag stitch to prevent fraying. 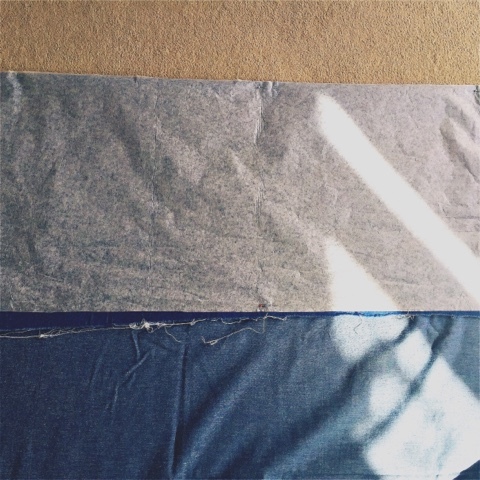 Sew both side seams. You should now have a large loop of fabric. The next step is to create a channel for the waistband. To do this, turn the top edge over by 2cm, press and then turn over by 3cm and press again. Pin this down, leaving a gap of about 8cm close to one the side seams. This is to thread the elastic through. Put a brightly coloured pin either side of the gap to remind you to leave this open. Sew the channel closed, as close to the edge as you can. 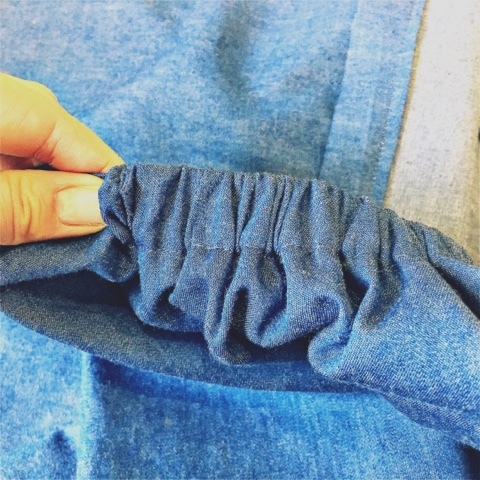 Now turn the bottom edge of the skirt under by 1cm and under again by another 1cm. 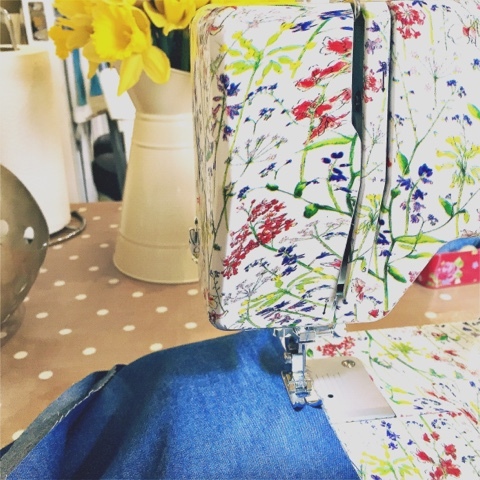 Press and sew the hem. It's easier to do this this before you put the elastic in the waistband. Cut a piece of elastic the size of your waist measurement and attach a safety pin at either end (one large and one small if possible). Thread the end with the small safety pin through first (the large safety pin keeps it from disappearing into the channel by accident. Feed it all the way through until it comes out the other side. 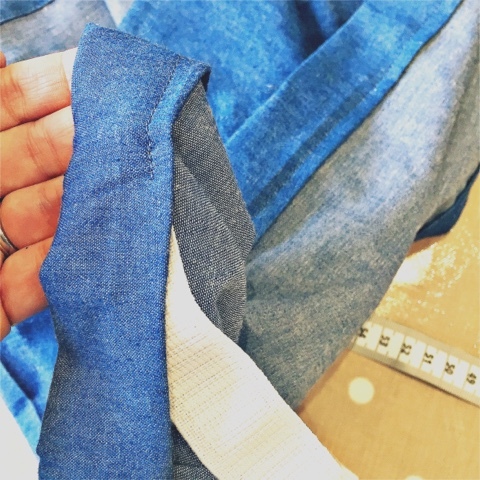 Overlap the two ends of the elastic by 5cm and sew together in two or three places to make sure it's really strong. This will make the elastic 10cm shorter than the original waist measurements. 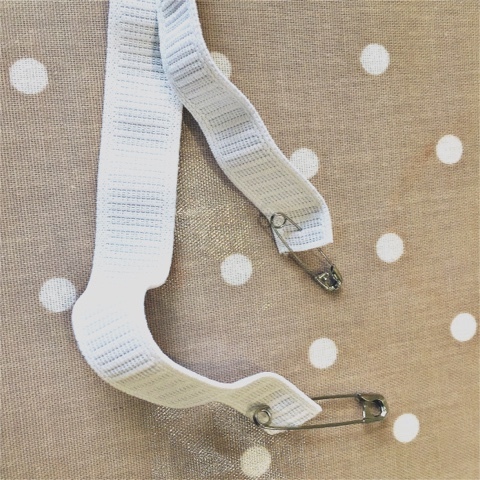 If possible, put a safety pin in the elastic and try it on the child before sewing up to be sure of a good fit. You can now close up the waistband channel in the same way as the rest of it. 10. 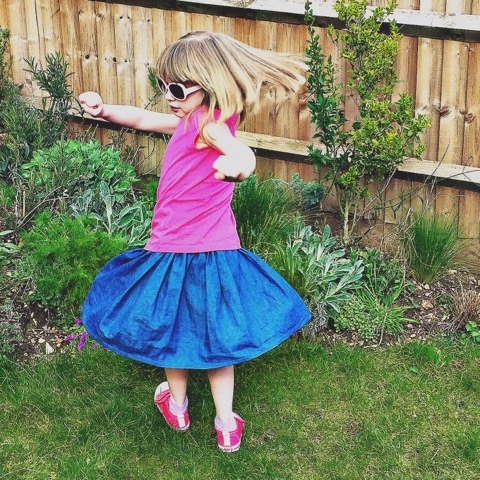 Even out gathers and twirl! Trim the loose threads, even out the gathers and give it a final press. Taa dah!